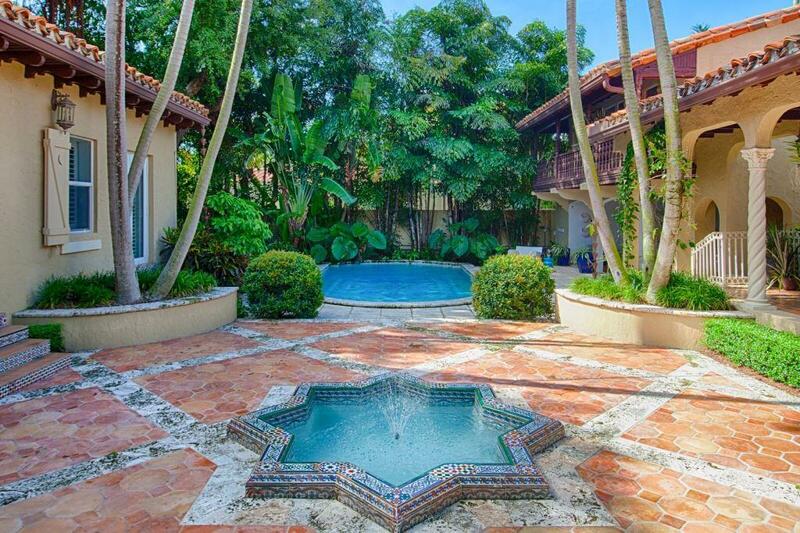 Built in 1929 by legendary Carl Fisher, this Mediterranean Spanish-style residence is like no other in Miami Beach. 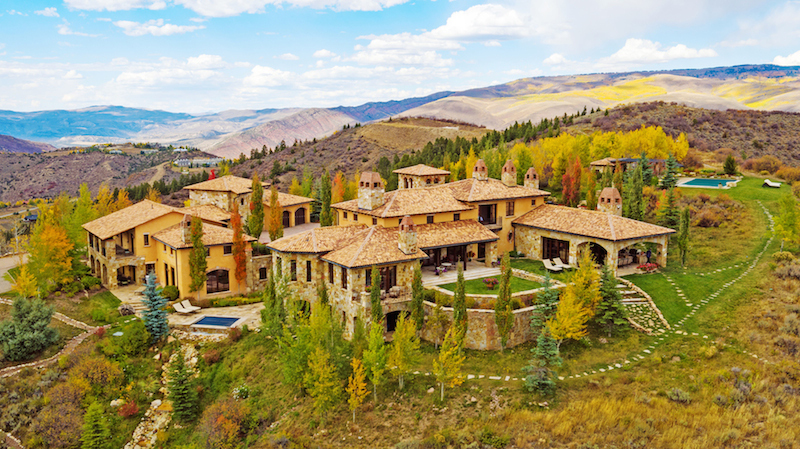 This private oasis was inspired by the architecture and gardens of Spain. Fully renovated to modern standards, yet maintains original design features: original wood beamed ceilings, hand-made terracotta tiles, spiral columns and restored rich wood floors. Welcoming entry foyer with original wood door, spiral columns, Spanish tile floor and beautiful art-deco style powder room. Spacious open living room features original wood-beamed ceiling, restored wood floors, wood-burning fireplace & direct access & views to the interior courtyard. The formal dining room comes with high ceilings, rich wood floors and access to the interior courtyard. The large family room has Cuban tile floors, comfortable seating areas, custom bar with granite counter top and Gaggenau wine chiller. A private 1BR/1BA guest suite (in-law quarters) sits above the pool cabana with full living room/kitchen and veranda that overlooks the pool and serene gardens. The gourmet kitchen features top of the line Miele appliances, granite counter tops & center island with cook top & eat-in seating. The impeccably designed master suite sports rich hardwood floors, a private seating area, his/hers walk-in closets with custom built-ins and direct access to the pool deck and internal courtyard. The master bathroom is stunning with marble floors, wood-beamed ceiling, double sinks, glass rain/steam shower, oval tub with massage jets and large windows that provide views to the backyard gardens. There is also an outdoor shower to use when coming from the pool. Outdoor features include: stunning private internal courtyard, covered loggias, custom designed fountain, beautiful hand-tiled pool and private garden with custom mosaic tiled bench. Additionally, there is a large covered outdoor pool/entertainment cabana with Cuban tile floor, full bathroom and summer kitchen. 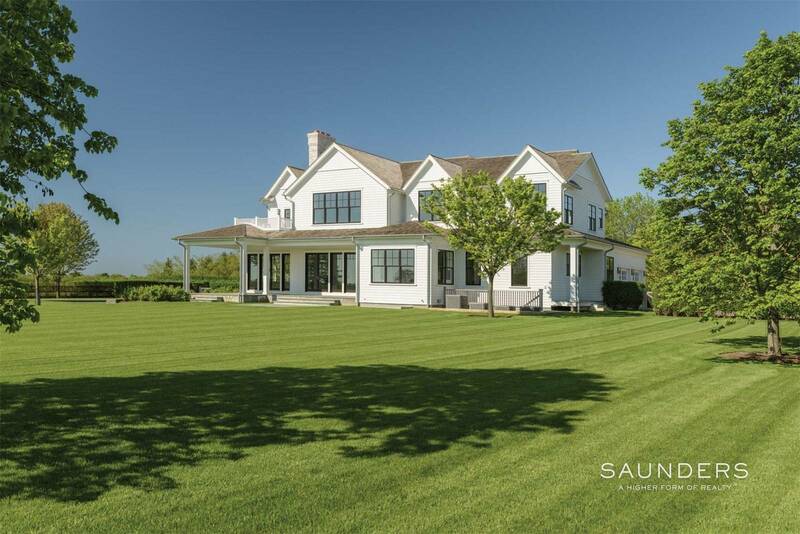 The manicured grounds feature mature landscaping with outdoor lighting. The home has a hidden natural gas generator that powers the entire residence. The Jills Team exclusively represents the Miami Beach, Fisher Island, Florida real estate market as a member of Haute Residence Real Estate Network. View of their listings here.